Martin Scorsese celebrated his 70th birthday a few weeks ago. Even though it’s almost a month later, it wouldn’t feel right unless his birthday was properly acknowledged here at TDYLF. After all, the man is a national treasure, both for his efforts to preserve classic cinema and for his own tremendous films. To honor the man who’s been as important as anyone to film history in his 70 years on earth, I’ve finally given him the infographic treatment. As always, click on the image for the full-resolution version. Thanks, G-Lo. By the way- I’m going to be watching My Voyage to Italy very soon. I haven’t seen that all the way through, but I do own his three part series that he made about American films for the BFI. Ya gotta love his passion and enthusiasm! Nice one John! Slick and pertinent! 2: The number of caterpillars on his forehead. No joke- I was really close to putting something in the top right “Miscellaneous” category about his two gigantic eyebrows. You have the best looking infographics. 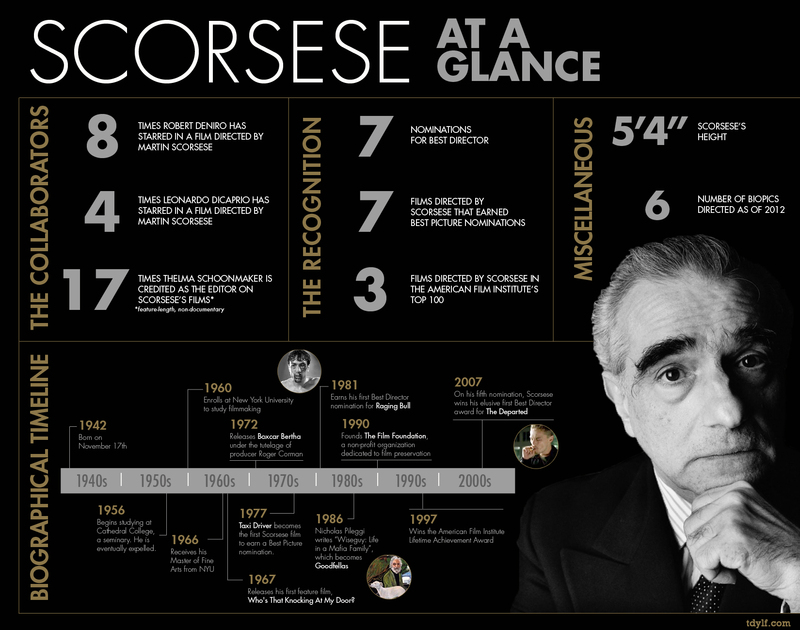 I appreciate good design and Scorsese so I applaud this post. And so ends my commenting tangent (unless you read this one first, in which case this makes no sense). Thanks, Jess! That means a lot coming from you, because I think so highly of the design work you all have over at FTS. Ha… for me, it’s the perfect identifier for that movie. Exceptional work as always, my friend. Perfect color scheme, fonts, facts – flawless. Reblogged this on The Rabbit Film Section. Gorgeous infographic, John. I’m always impressed by these. 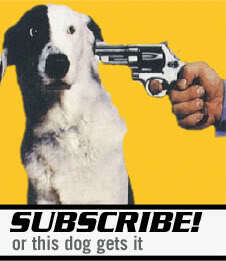 Could you tell me the font you used to write Scorcese in the banner? I’m guessing Futura but I could be wrong. You’ve got a great eye there. It’s Futura Light. And the rest of the fonts used are Futura Bold and Heavy. Oh, I thought so. Thanks!